Wimbledon hospitality packages provide groups with exclusive access to one of the most prestigious events in the sporting calendar. You can expect first class service and entertainment from the hospitality team throughout the occasion. Your tickets allow your guests to enjoy unparalleled viewing of the tennis on Centre Court or No.1 Court throughout the day. 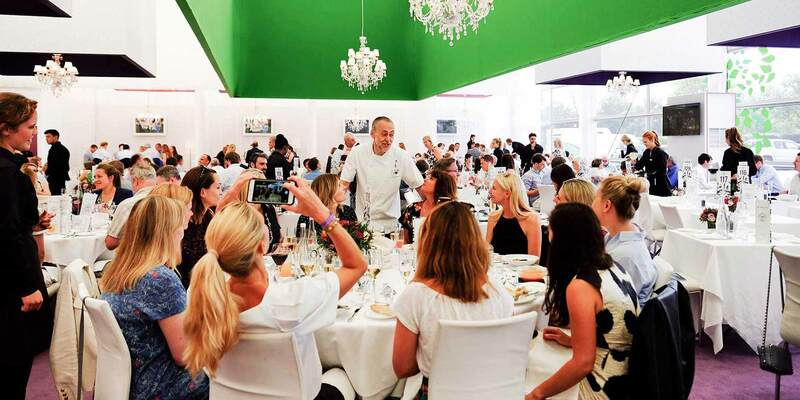 Your guests’ experience at this iconic Grand Slam is elevated further by a fine dining experience to help nurture business relationships, as well as forge new ones. You can choose to entertain your guests in the select surroundings of The Lawn, an offsite facility which provides a shared restaurant facility with a pre-tennis lunch menu exclusively created for the occasion by Albert Roux OBE. The Lawn also features a whisky and cigar bar, private garden with live music and an extensive drinks menu, including selected fine wines, Champagne and luxurious cocktails. The refined setting of Rosewater Pavilion offers your guests a sumptuous four-course dining experience and tiered outdoor terrace with superb views across the Wimbledon grounds. The Rosewater Pavilion is set within its own landscaped gardens and offers a private oasis for relaxation. The Skyview Suites are the most premium hospitality offering. 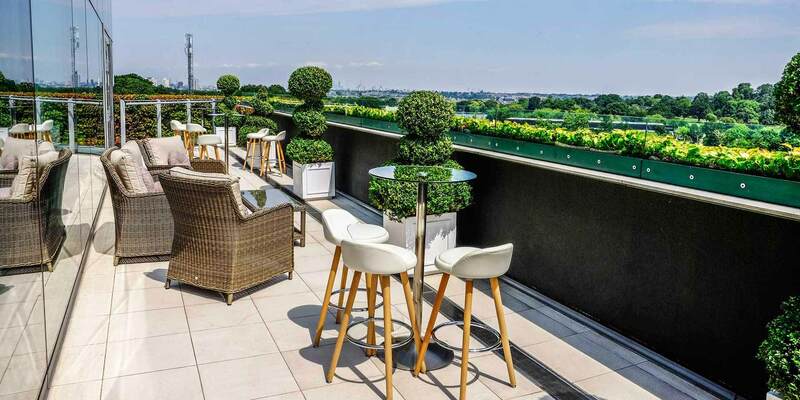 Located in Centre Court, this private facility caters for 10 or 20 guests and offers premium views across the grounds of the All England Lawn Tennis Club. 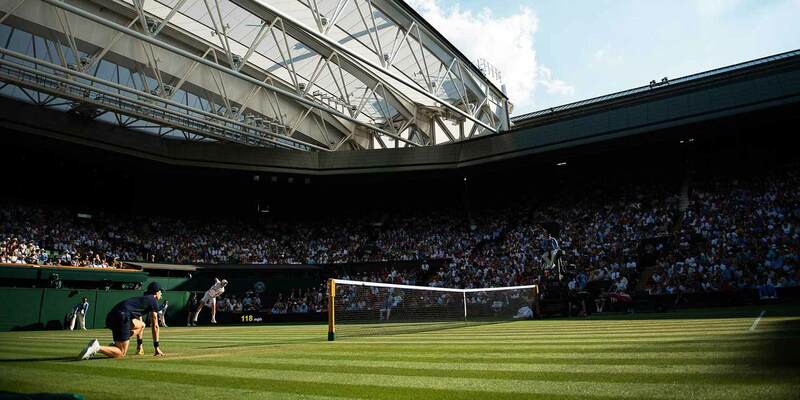 Prime Centre Court seating for all of the day’s matches is also included for every guest. Once all tennis matches are over for the day, VIPs can return to their hospitality facility and take advantage of the complimentary bar to enjoy bespoke cocktails or Champagne. 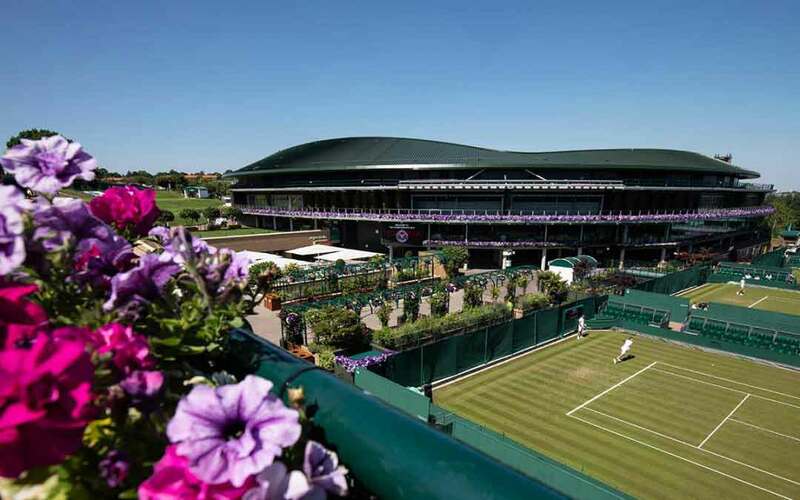 Sportsworld has been one of the official hospitality providers for Wimbledon for the past 26 years. All our VIP guests have enjoyed fantastic standards of service throughout their Wimbledon hospitality experience and many of them return every year. Browse our website for more details. *Please note, while we sell official hospitality to The Championships, we are not an official hospitality provider to the AELTC or The Championships, we are an authorised re-seller of the Official Exclusive Hospitality Provider to The Championships. 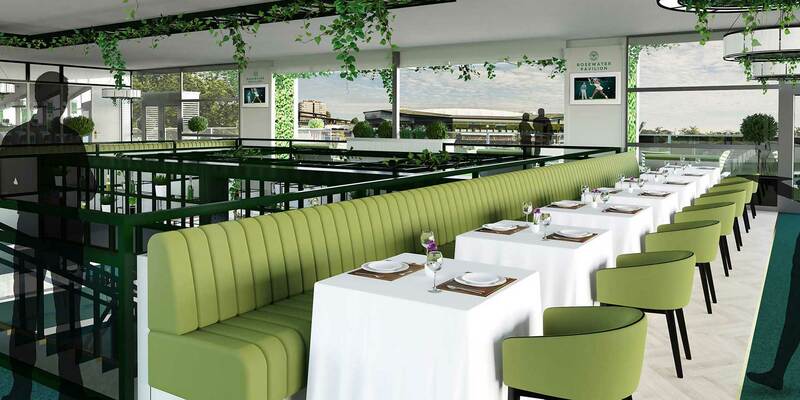 Packages at The Lawn, Rosewater Pavilion and Skyview Suites are provided by the AELTC’s Official Hospitality Provider.